 If you are an electric member building a new home or replacing a fossil fuel water heater and plan to install a new electric water heater, The Energy Cooperative would like to write you a check for $250 to $350! Why? The Energy Cooperative wants to promote the use of energy efficient appliances and enlist you as part of our Load Management Team. The installation of a well insulated water heater helps to reduce energy consumption and helps members save money towards their utility bill. If you are constructing a new home or replacing a propane gas, natural gas or fuel oil water heater with a new electric water heater you can qualify for a rebate ranging from $250 to $350. Please see the qualifications listed below. Minimum six (6) year manufacturer’s warranty. Minimum 50-gallon tank water heater. Must be a new electric water heater . The water heater must contain a minimum of two inches of foam insulation for an “R” value equal to or greater than 16. The water heater’s element size must be 5500 watts or less per element. A Radio Controlled Switch (RCS) must be installed and remain operational for the length of the manufacturer’s warranty period for the water heater. For residing Energy Cooperative electric members only. The member must be building a new home or replacing a fossil fuel water heater with a new electric heater. All warranty periods are defined by the manufacturer’s warranty only. Extended warranties provided by outside parties do not qualify. Application for rebate must be made within nine months of the purchase of the water heater. A new construction home must have a new physical foundation. Fossil fuel is defined as natural gas, propane or fuel oil only. Not valid with any other Energy Cooperative water heater rebate.